Our Crimson Kraut, loud and proud on the salad bar at the Berkshire Co-op! 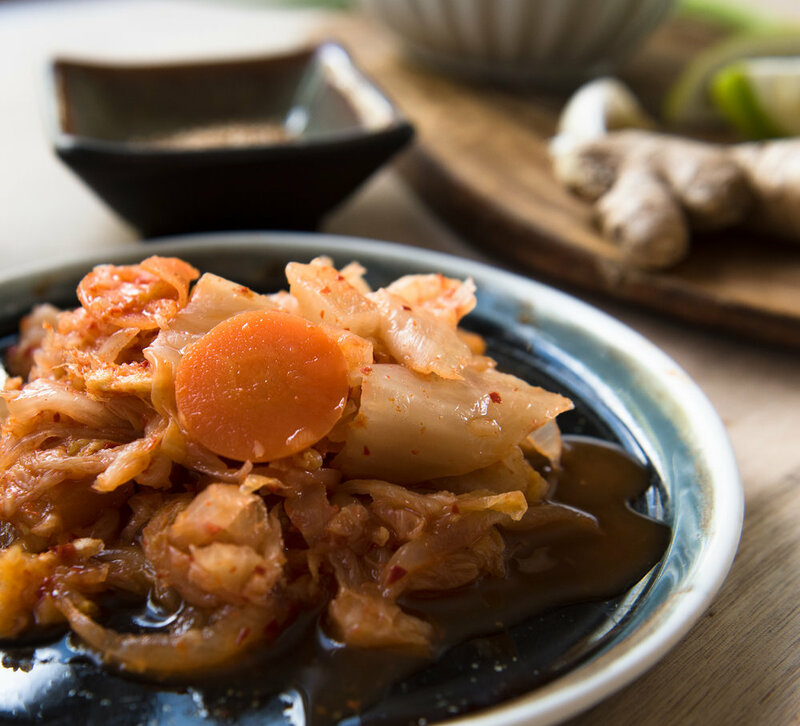 We often get questions from customers wondering, how do I incorporate fermented foods into my daily meals? We find the answer is simple. Try it on everything! We might be biased, but we think it really goes great with just about any meal. Starting with breakfast, eat it with eggs in the morning or top onto savory oatmeal. For lunch, slip some GochuCurry Kraut into sandwiches, get creative; Kimchi and peanut butter sandwich? Yes really. Jazz up your salad with some Crimson Kraut. For dinner have it on the table as a condiment to any meal, meat, beans, grains, veggies, you name it! Want a fresh crunch? Go with Sauerkraut. Want a zing? Add some Kimchi. It's great for appetizers too, puree any variety of ferment for dipping or spreading, paired with cheese too! The possibilities are endless and we always love hearing what you put it on or in!